"Great for simple branded merchandise, very limited and frustrating in critical ways"
I love the range of items Cafepress offers for customizing with your brand's logo or image - you could fill a whole gift shop with their array of products. The site is not very user friendly - there is an extremely confusing discrepancy between the Cafepress marketplace and Cafepress shops, with different rules, pricing structures, and appearances from the buyer's point of view. The customization is also somewhat clumsy and limited, so it requires a fair amount of technical knowledge and patience to get everything in order to your satisfaction, if you want to make sure everything looks great. Worth trying out, especially if you want branded merchandise but need someone else to handle the manufacture, distribution, and customer service related to that merchandise. A good option if you want to purchase branded merchandise for your own company or personal use. Cafepress makes it easy to offer merchandise for our company along with customer support in a way that requires very little effort on our part, once the store is set up. Though they take a substantial cut of the items sold from your shop, it means you can essentially "set it and forget it" and if there's demand for your products, you can make some income. "A Fun and Simple Way to Create Customized Products "
You've got to love the customized designer feature on CafePress! Better than most competitors to say the least. The list of products on their site is plentiful, awesome for small businesses, personalized gifts and marketing. The laser printing on mugs and glassware wears off quickly and fades fast! Be aware if you are purchasing these types of items. Better than most competitors I've used. The price is great and the items to choose from is plentiful. I have created both personal items and also business branded items to hand out for advertising. What Print Fulfillment solution do you use? They are friendly, and good prices. Probably okay for printed materials but don't expect perfection. The site is easy to use, and you can follow designers you like. That is nice to see what they are up to or when new designs drop. Haven't seen that feature in other sites. Also, cafe press has been around, forever!! Since like, 2008. But you would think they can do better products by now.. They have a very courteous support staff. Very polite and try to help you out when theyve made an error. But it doesnt justify using them when things are sent late, or in bad shape. They have high shipping prices and will sometimes send it the cheapest option even though you selected the higher one! Also, many of the items I've ordered came in bad quality or were MADE of bad quality. The colors are not as rich as they appear online, some are peeling, etc etc. There are better options to buy custom things. Their pictures of the items are very misleading, they are not as vibrant or colorful as they appear online. Use other competitors so you don't risk getting a sub par item, or overpaying for shipping, or receiving it late! Almost anyone is better than them. Which is sad, they have been around for a very long, not sure how they are still in business. Their support teams are very courteous so atleast they have that. But the quality of items and graphics is very misleading from their website pictures. They can make customized anything. But their quality is really bad. Their pictures are very misleading. The graphics are not as vibrant. Sometimes peeling. Anything furry looking is very sparse in real life. Props to their editors for making the image look great though! "Cafepress is wonderful for creative types"
I like that if I have an idea for a cute design for branded merchandise, I can get it out of my system and not get in debt buying wholesale and risk having bad results. I wish there were more options for t-shirt designs and maybe more suggestions for making your product more visible. I have the option of adding branded merch to my business without bulk buying. "DIY T-Shirt Design Made Me Look Good"
My favorite aspect of Cafe Press is the "Design-Your-Own" functionality. I recommended it to my gaming group and we put in an order for custom t-shirts. It's more of a quirk, but there were so many options, that it was hard to choose which shirt style everyone wanted. Not necessarily a bad thing, but we finally agreed on different shirt styles per person. In the long run, everyone got what they wanted. We mainly used the custom t-shirt design portion of the site because it gave us a better deal and more options than others. There are lots of other products and features this site has that could be to your benefit. Honestly, the custom t-shirt was a big help when we started working on the branding for the group I'm in. We solved part of that through this t-shirt customization. "Cheapest prices, okay quality, long time to ship"
The best thing about Cafepress would be their prices after coupons. They were the cheapest vendor that had promised to deliver in 2 days. My shipment did not come as expected, with no refund on the extra shipping charges I paid to get faster shipping. It came about 2 weeks later, so I missed my deadline. The quality was also not what I was expecting. It was very, very cheap looking and feeling, despite what the description and pictures look like on the actual website. I wanted to design custom products for an event but was on a time crunch so I used CafePress because they were the cheapest vendor that would deliver in 2 days. I realized no benefits, as I missed my deadline. 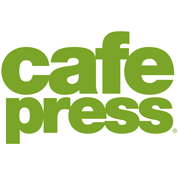 I've used cafe press when building different websites for businesses. It's fairly user friendly and easy to navigate not having in depth web design skills. It can get complicated and web support is extremely slow. The turn around time for a question almost makes using the product not worth it. We ended up not using cafe express because it didn't provide to functions that we needed for ecommerce. Easy to upload your own items and customize them onto different formats. Production times are very good and we receive our items on time. The pricing is better compared with other vendors we looked at. We use them to create custom apparel and accessories for our own team as well as our clients. Nothing to dislike about this service, works well. The products they produce are always good quality. Creating custom apparel and accessories branded to our logo for our team and clients. The ease of ordering, the many choices. The supply's always of good quality. The time it takes to ship. Best to order at least 3 weeks before you need it. Getting our image out the and personalizing our items in a unique style. It was easy as a user to walk through the process. Not complex or confusing at all. The fabric felt cheap. This could have been what I chose, but I wasn't impressed with hit. We were hoping for more brand awareness. I wasn't impressed with the quality. The quality of the products are good and everything arrives as stated. I don't dislike anything at this moment. I have used several different customization sites and I think CafePress is on par with the rest of them. Amazon's 2-day shipping makes it hard to order regular items, as you have to pay more for that on other sites. However, Amazon rarely allows customization, so that makes me use CafePress. "Versatile and has many products to choose from!" I like that they have just about everything you could want! You can make just about anything as well and it's very easy to order and find what you want. Sometimes the products are not attractive or do not appear right on the screen. It needs to offer more products. Showing off our products and looking to expand our brand. Love Cafe Press. Super easy to use. Fantastic quality. Speedy delivery. Met and exceeded all expectations. Some limitations on design side, but overall highly recommend. Creating awesome marketing apparel and client appreciation. * We monitor all CafePress reviews to prevent fraudulent reviews and keep review quality high. We do not post reviews by company employees or direct competitors. Validated reviews require the user to submit a screenshot of the product containing their user ID, in order to verify a user is an actual user of the product.